The overprescribing of opioids by doctors in many states has led to a dramatic rise in overdose deaths in recent years. There are many who feel, and perhaps rightly so, that doctors should be held culpable for such deaths under certain circumstances. The toll that overprescribing has taken on families and society is staggering; addiction treatment centers are treating opioid addicts at unprecedented rates, the numbers of overdose death rates every year are through the roof, and the country is seeing new infectious disease outbreaks that have been directly linked to prescription opioid misuse. Last week, for the first time in U.S. history, a doctor was found guilty of murder for overprescribing drugs, CNN reports. 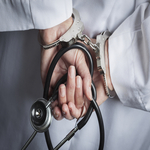 California doctor, Hsiu-Ying "Lisa" Tseng, was found guilty of 23 counts. Tseng’s attorney plans appeal the decision. Once doctors realize that they can lose their freedom for overprescribing drugs, they will be more apt to refrain from doing so. Prescription opioids are extremely dangerous, and without careful prescribing practices - people lose their lives. Physicians are fully aware of the risks that prescription opioids carry with them; doctors have a moral responsibility to prescribe them with the utmost discretion.